NEW YORK (TheStreet) -- Converse is updating the materials in its classic Chuck Taylor All Star sneakers for the first time since their 1917 debut -- but many bold prints, cartoon characters and iconic works of art have graced the American-made footwear over the years. The canvas sides of Chucks have hosted everything from Andy Warhol paintings to the cast of The Simpsons. The redesigned sneaker, called the Converse Chuck Taylor All Star II, will maintain the same silhouette as its forebear, but offers better comfort and durability courtesy of extra padding, premium canvas exterior and new high-performance lining designed by Nike (NKE - Get Report), which has owned Converse since 2003. Sneaker buffs will have their choice of black, white, red and blue kicks. The first crop of Chuck II's go on sale Tuesday in Converse retail stores, select retailers and on Converse.com. Low-cuts will sell for $70 and high-tops for $75, compared to $50 and $55, respectively, for the originals. TheStreet looks back at some of the most memorable special editions and collections of the original. The time they invented the original. The first All Star basketball shoe came out in brown with black trim all the way back in 1917. 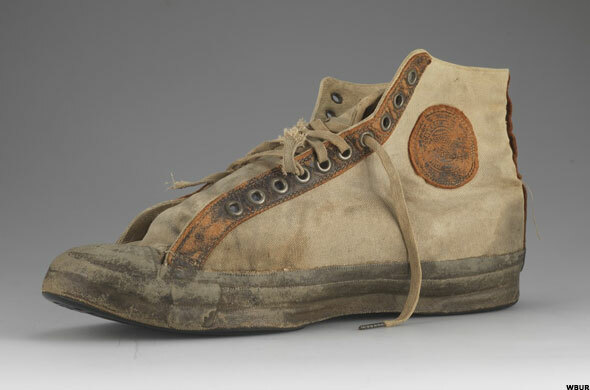 It became the first mass-produced sneaker in the U.S. and was christened in honor of basketball player turned Converse salesman Charles "Chuck" H. Taylor. His name has been immortalized on the sneakers since 1932. The time they made it possible to wear Chucks even on rainy days. No one likes to get their canvas-clad feet soaked in the rain. 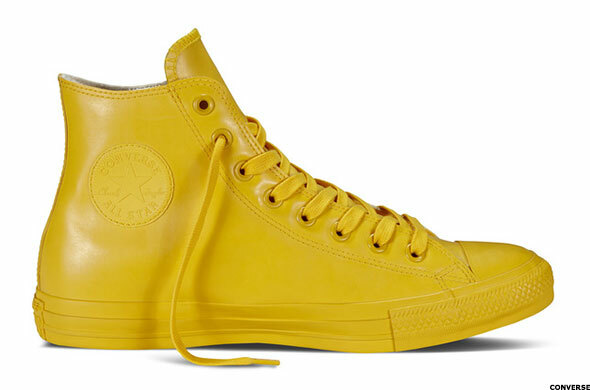 But in the fall of last year, Converse pumped out a collection of rubber Chucks lined with soft fleece. The monochromatic footwear was billed as the perfect shoe for "music festival mud pits." Children's sizes sold for $45 and the adult version for $65. The time they put an iconic American work of art ... on an iconic American work of art. 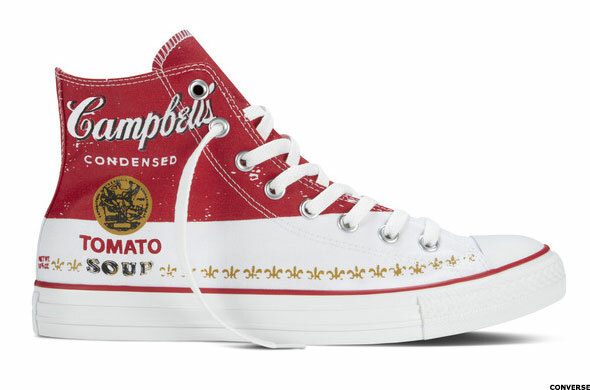 Starting in February of this year, shoe shoppers could buy their very own copy of Andy Warhol's famous Campbell's soup can on a pair of All Star high-tops for $95. Other pieces in the collection were priced between $35 and $95. The time they got better with age. 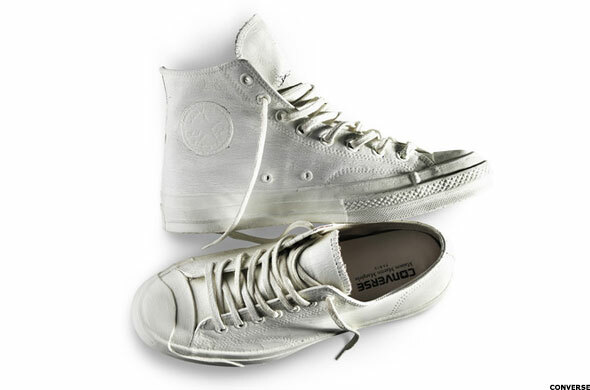 These classy limited edition Chucks designed by French fashion house Maison Martin Margiela feature white, hand-painted leather exteriors. But as the outer layer of paint loosens with wear, glimpses of amber, navy, blue or red peek out between cracks of paint. They went on sale for $250 in May 2014. The time they made us go 'D'oh!'. 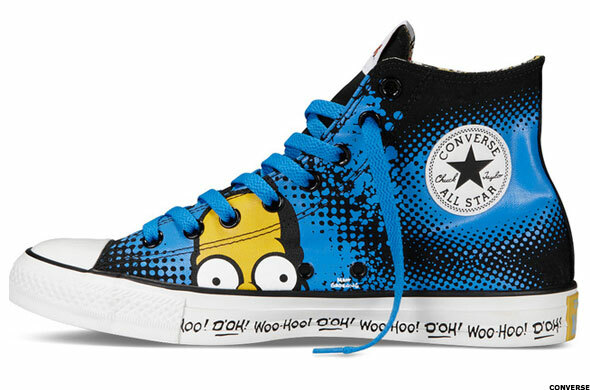 To celebrate the 25th season of The Simpsons, Converse welcomed Homer, Marge, Bart, Lisa and Maggie onto their own line of Chuck Taylor All Stars. They debuted in June 2013 for between $37 and $65 a pair. The time they made us feel like superheroes. 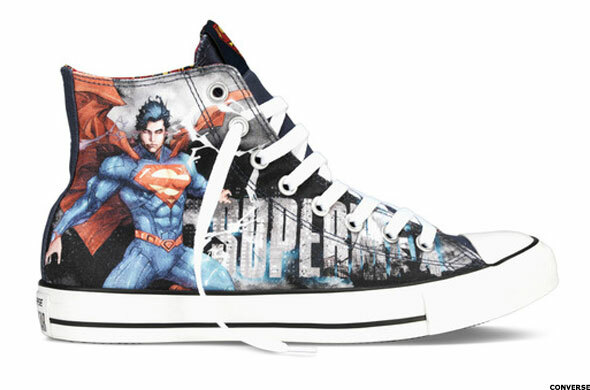 The artist Kenneth Rockfort illustrated this shoe featuring the man of steel, which includes white and gray laces with the classic Superman shield. They hit stores for $60 last fall. The time they were runway-ready. 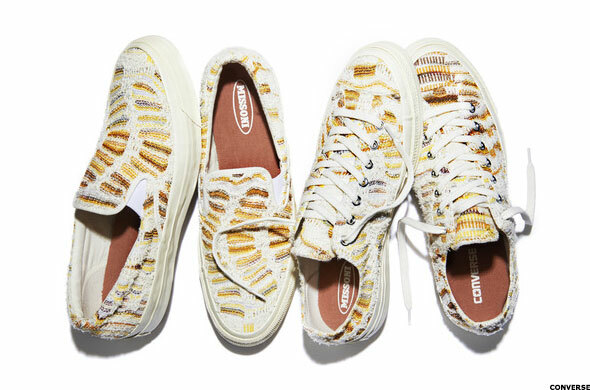 Earlier this summer, Converse's collaboration with Italian fashion designers at Missoni debuted on the Milan runway. The intricately-stitched exterior dyed in yellows and earth tones was designed to evoke an "urban surfer as he travels along the southern European and north African coastlines." Sneakers were available for purchase on July 17 and have a $200 retail value. The time they represented Finland. 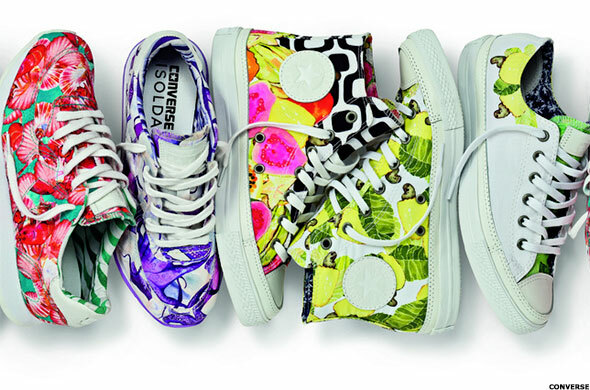 Finnish designers Marimekko have released several Converse collections with their signature graphic prints. 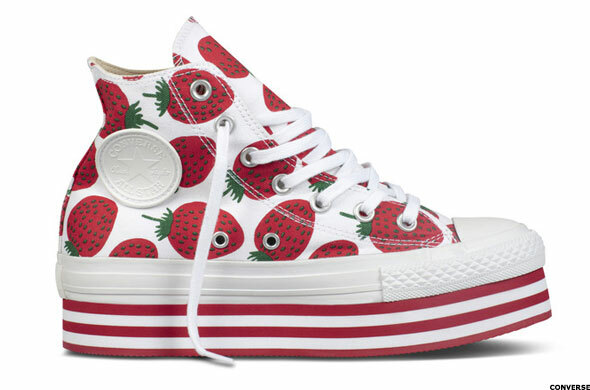 The women's-only collection for spring and summer 2013 included this playful strawberry print. The shoe retailed for between $70 and $80. The time they kept us toasty through the winter. 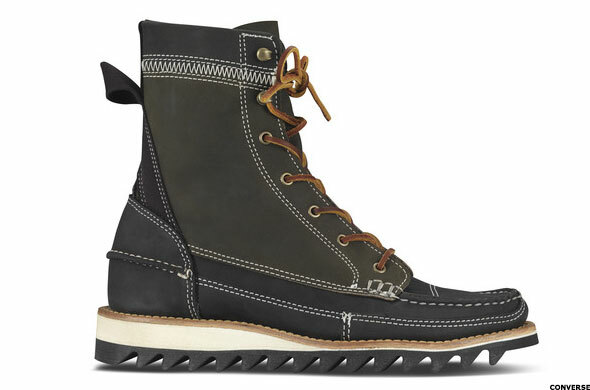 Just 80 pairs of this limited-edition boot were made in collaboration with the Highland Shoe Company of Brewer, Maine. The boots were constructed of 100% American-made materials and sold for $350 each. The time they sent us walking like the Girl from Ipanema. Brazilian fashion brand Isolda painted Converse canvas sneakers with an array of watercolor-like prints of guavas, gemstones, lobsters and more. The shoes were launched exclusively in Brazil in November 2013 and had a $110 to $130 price tag.